Kate McKinnon’s Jillian Holtzmann was one of the few aspects of this summer’s Ghostbusters that didn’t immediately send the internet into a snarling mass of self-directed rage, serving as an oddball highlight of Paul Feig’s big-budget remake. 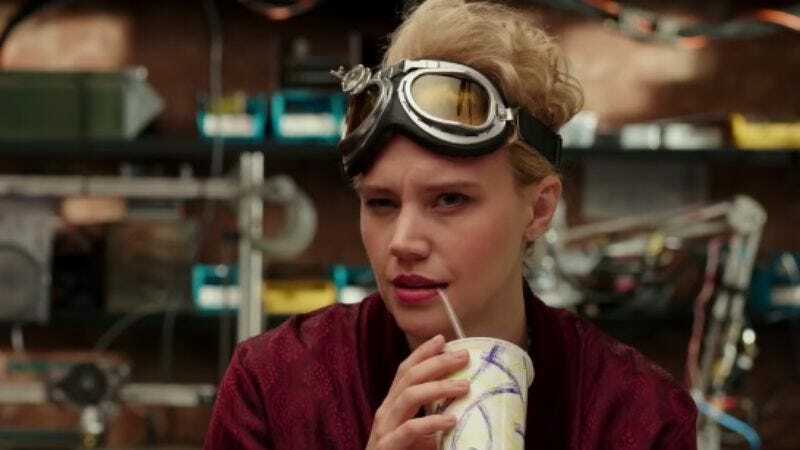 Now, fans of McKinnon, and her character’s deranged, pansexual approach to science, the supernatural, and life, are in luck: the movie’s home release contains a ten-minute outtake reel that’s pure Holtzmann, and someone has uploaded it to YouTube. Less “oops, someone blew a take,” and more a relentless stream of the kind of ad-libs you might see on Silicon Valley or a Will Ferrell film, the video shows McKinnon cycle through line after line of semi-sequiturs, weird laughs, and other expressions of Holtzmann’s inner madness, all without breaking character. It’s basically all the best parts of the movie (albeit, ones that weren’t actually in the movie) in one tight, energetic package.